Once again exercising his unlimited option to play any and all mentoring roles in Hollywood, Morgan Freeman has been cast in the upcoming Ben-Hur remake as the guy who teaches the titular slave the ins-and-outs of chariot racing. 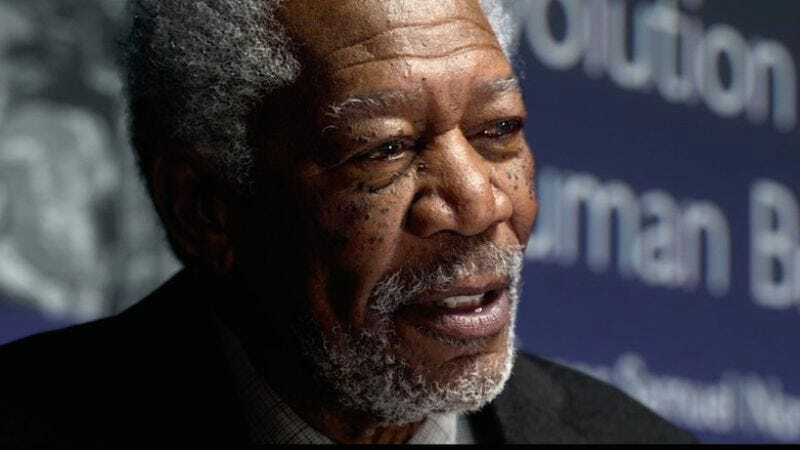 Freeman, as always, will be playing Morgan Freeman, a stern but charming mentor who mixes gentle advice with cutting wit and the occasional beaming smile. It’s not clear yet if the veteran actor will decide to stay awake for the movie’s filming, or whether director Timur Bekmambetov will just leave a microphone near his pillow to record the steady stream of wisdom that Freeman now spews unceasingly in his sleep. Freeman’s character, actually named Ildarin, is presumably the new movie’s version of the Ilderim role played by Hugh Griffith in 1959, who gives Judah Ben-Hur the chariot for the film’s climactic arena race. Freeman is the first actor to be officially cast in the new adaptation, although Tom Hiddleston is apparently in consideration for the title role. There’s also no word yet on who will be cast as Freeman’s famous movie son, Jesus Christ, a major character in both the original book and the 1959 movie.